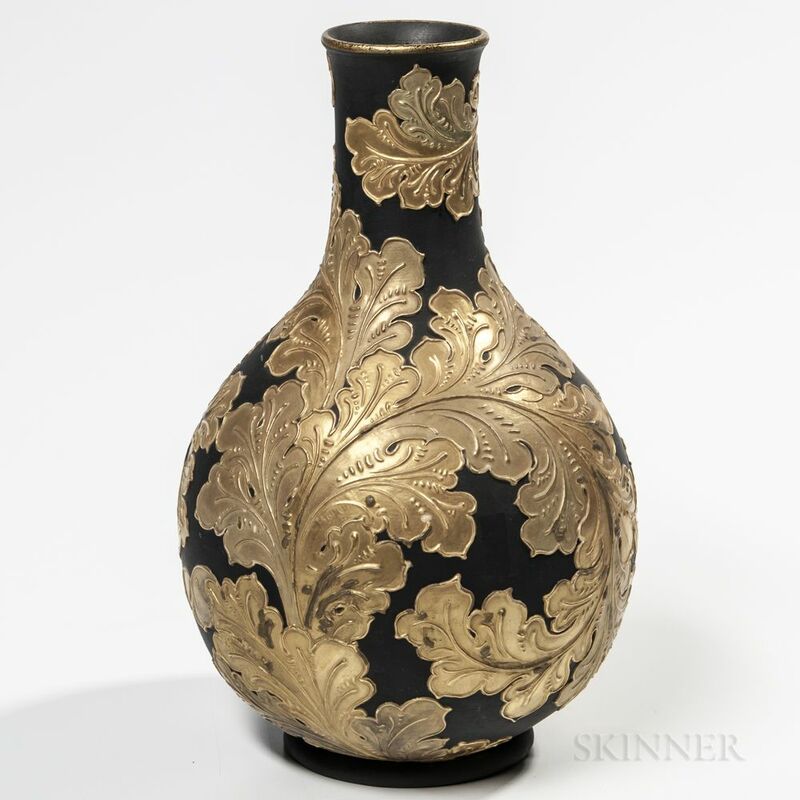 Wedgwood Auro Basalt Vase, England, c. 1885, bottle shape with gilded raised slip-decorated leaves, impressed mark, ht. 13 1/4 in. Areas of the raised slip repaired.